The word Eventide conjures up images of the sun setting as the dust hangs in the air, and is the name for the eight track EP release from Reliqua. 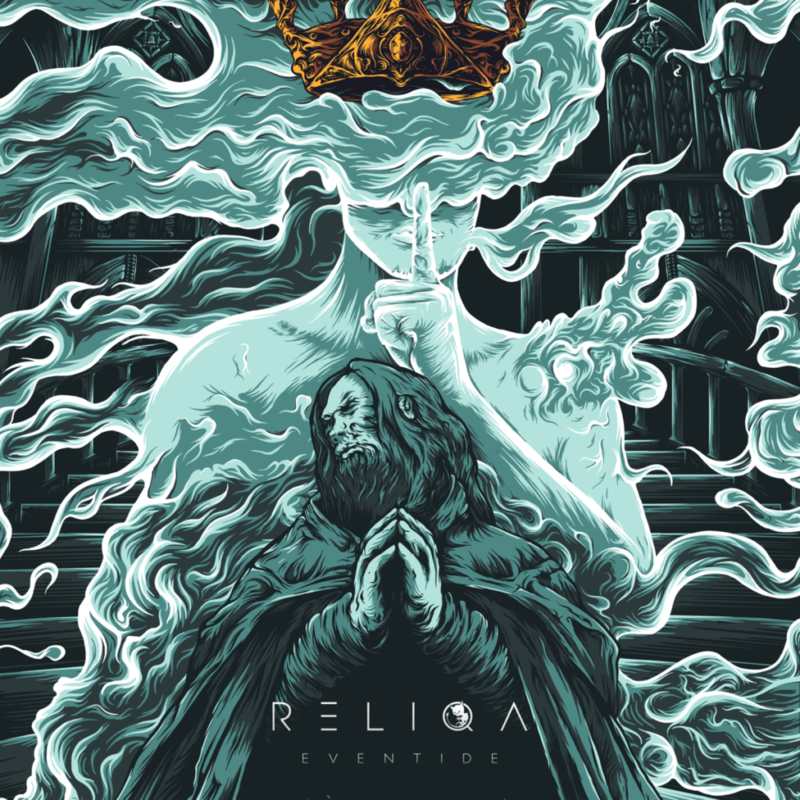 Reliqa is the four piece alternative metal band that has been on the Central Coast, NSW scene for a year now. Their debut EP ‘Afterlight’ was released at the beginning of 2018 and marked much of the building blocks of their style and sound – blending Monique Pym’s powerhouse vocals with aggressive riffage. Reliqa’s drive and ambition has already seen them play alongside legends Far Away Stables, Liberties and Grim Indiana. Opening the the album with debut single ‘ Hang Man‘ the album beings in full force, riff laden with the harmonic vocals of lead singer Monique Pym the first track opens the album successfully giving a hint of what’s to come. As the album progresses through there is a blend of stunning piano intros blended with classic guitar, on tracks such as ‘The Halfway Point’ that start the journey slow, building to a crescendo of sound. ‘ Golden Age‘ takes on a slightly different approach to take the listener on a melodic sojourn of sound, sans vocals. With ‘E.O.D‘ the band weave in piano and violin to create a layered sound that in intriguing and compelling to listen to. Closing out the EP with ‘ Deja Vu’ a track that slams the ears with heavy riffs from the opening bars the band leave the final track to remind listeners they mean business. Its a track to get the blood pumping that’s for sure, and will certainly play well live. The EP is a menagerie of sounds, themes and beautifully structured vocals, layered symphonic sounds and an array of thoughtful song writing. Monique Pym’s vocals are the perfect accompaniment along the journey. EP ‘Eventide’ will be out in the world on Friday November 9.